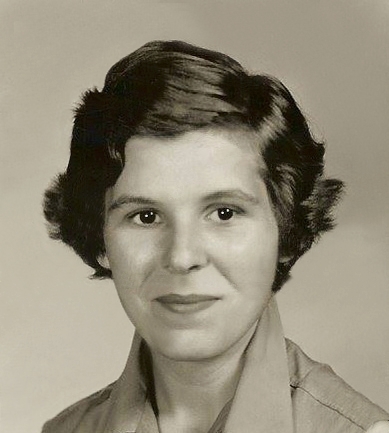 Anna Jean Dearth, 80, of Cleveland, TN passed away on November 23, 2018. She was born on May 15, 1938 to the late Gilbert and Lillian Roberts. Anna moved here in March 1977 after her husband of over 60 years James retired from the Air Force. She was very protective of her family and loved each one of them dearly, especially her grandchildren. Anna was an avid Kentucky Wildcat Basketball fan. In addition to her mother and father she is preceded in death by her brother Vernon Roberts and sister: Willia Mae Curry. She leaves behind to cherish her memory her husband of more than 60 years, James S. Dearth; sons: James G. Dearth (Teresa) and Randy Dearth; daughter Melissa Price (Jim); sisters: Roble Miller, Bernice Brown (Terry) of Manchester, KY; grandchildren: Ashley Curtis (Jeremy), Angela Harrison (Jay), Barry Semak, Nicole Holmes (Matt); great grandchildren: Alexis and Grant Curtis, Landon and Emma Harrison, and three more due in 2019. The family will receive friends on Thursday November 29, 2018 from 6:00pm until 8:00pm at Companion Funeral Home in Cleveland, TN. They will also receive friends from 6:00pm until 8:00pm on Saturday December 1, 2018 at Rominger Funeral Home in Manchester, Kentucky. A celebration of life service will be held at 1:00pm on Sunday December 2, 2018 at Rominger Funeral Home with burial after at Herd Cemetery in Manchester. Barry Semak, Tim Curry, Travis Miller, Scott Roberts, Jay Harrison, Chris Curry, Zac Hacker, Bradley Hacker, and Matt Holmes will serve as pallbearers.